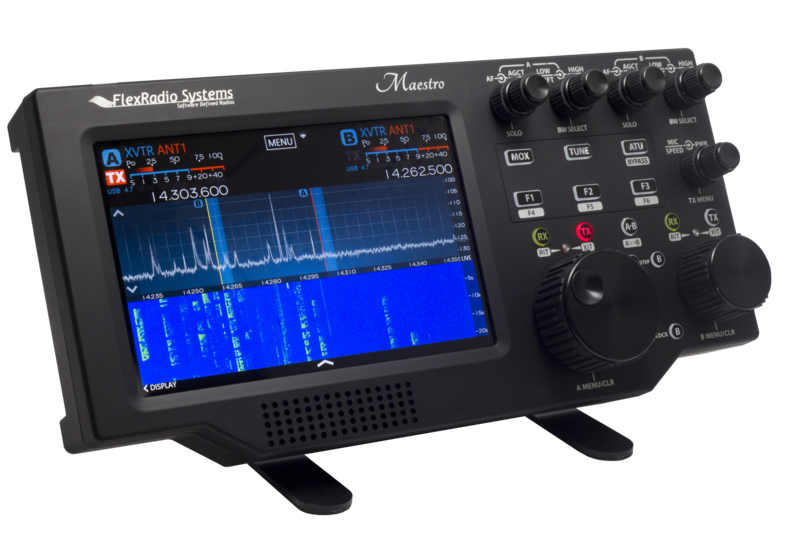 Introducing Maestro™ - an intuitive, plug-and-play control console that directs operation of any FLEX-6000 Signature Series transceiver without need of a traditional PC. Connect Maestro directly to a 6000 series radio with a LAN cable or through your local area network (LAN). Maestro places the most frequently used controls directly at your fingertips. Controls are labeled for intuitive operation and designed to minimize hand motion for the most common operations. Occasionally used controls are easily accessible on the large touch screen display bypassing the complexity of multi-function buttons and multi-level menus found on most transceivers. Like modern phones and tablets, capacitive touch control is provided on the large LCD display for intuitive pan, zoom, tune, and menu operation. For more technical information on Maestro, just download the Maestro Product Brochure or visit the Maestro product web page.